Which POS system is the best? Why our partner, Press'd Sandwiches, made the switch to an Enterprise-Level IQ Interactive Restaurant POS System. A complete POS system to manage your business. employee communication and brand image through intuitive digital signage solutions. employee messaging to engaging customer content. Integrate your visual communication network throughout your business including HR, marketing, health & safety, and executive dashboards. Customer preferences have evolved and demand the efficiency, accuracy and flexibility offered by Interactive Digital Signage. Reduce operation and labour costs, gain multi-use displays that also work for advertising, marketing and promotions. Gain the support of a team that has both the technical skills but also has industry experience. 8 Screen Digital Signage Display for Trade Show! IQ Business Installs 8 Screen Digital Signage Display's for DK LOK at the Global Petroleum Show in Calgary! Alberta Conservation installs IQ Interactive Digital Signage! Alberta's Newest Science Centre Installs Volante Point of Sale! An industry first! IQ deploys Self Service Point of Sale for Cafeterias! 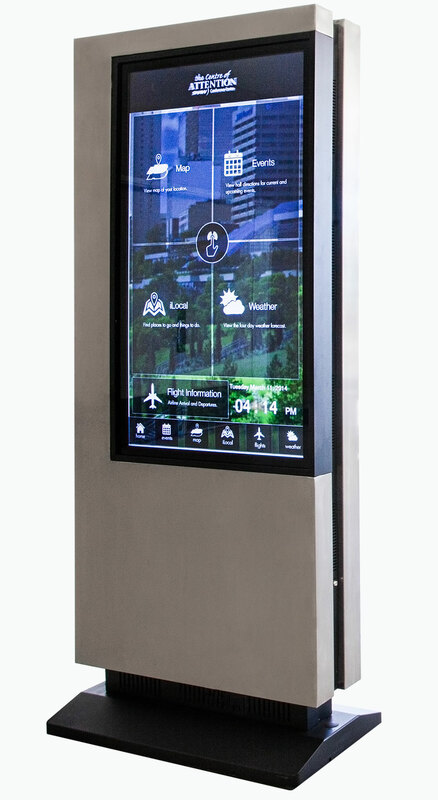 Assiniboine Park Conservancy selects IQ's Digital Menu Board System! BC Hospital Group Installs IQ Interactive Digital Sigange System! IQ completes large Hospital Group Digital Signage Deployment in BC! Calgary Based Grocery Chain Installs IQ Interactive's Retail Point of Sale System! dedicated team, we deliver products that are designed to function in your unique business environment. We are passionate about building long-term relationships & helping you achieve your business goals. © Copyright 2017 IQ Interactive Inc.